Thanksgiving 2003 trip to see San Da Wang! 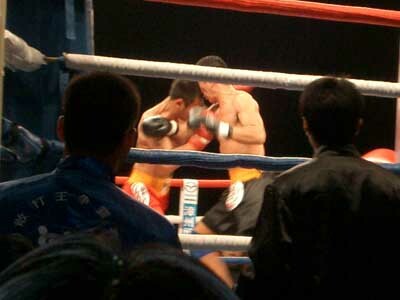 On the night of November 28th, Kevin and I were able to check out a professional Sanda Wang event held in Zhangzhou, Fujian, China. 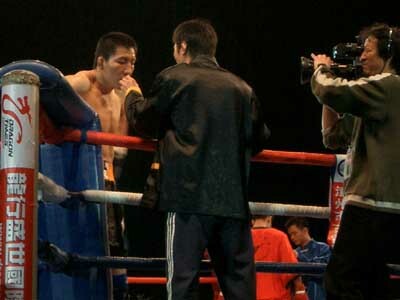 It was covered by CCTV 5, China's sports channel. 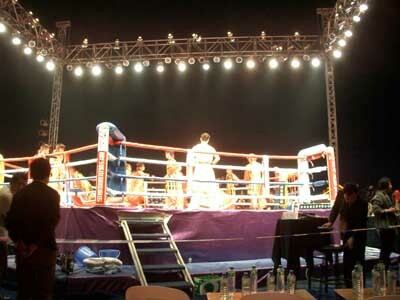 There were 5 fights, 4 men's and 1 women's fight. 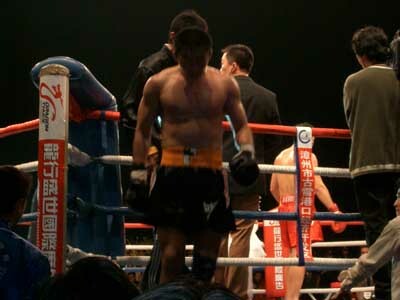 All 10 fighters were Chinese fighters, several of them were National or International champions. Actually if you really want to know more about it, here's an article on the event in Chinese, and another one with some pictures. A picture I took the day before while they were setting up. Nice scenery isn't it? 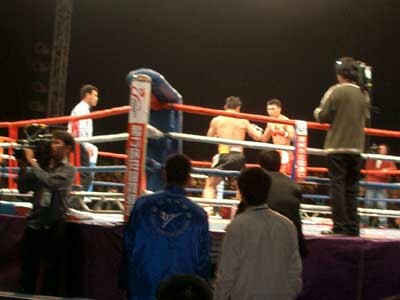 This was the first Sanda Wang event ever held in an outdoor venue. 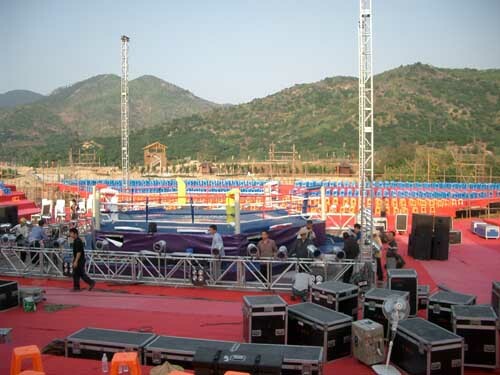 Apparently in the pre-fight interviews the fighters said they were willing to fight rain or shine. 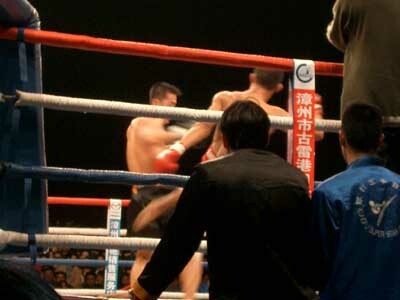 Turned out to be great weather, although Sanda in the rain would have been entertaining. 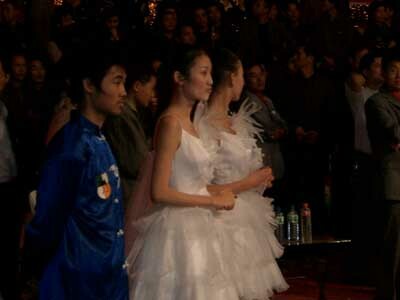 Before the first match there was a wushu demo by a local Fujian wushu school. 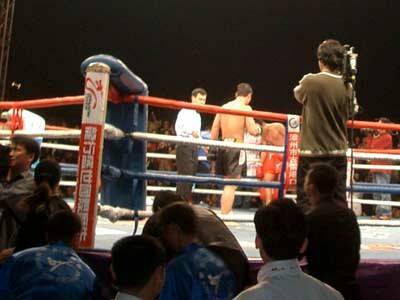 I believe this is the third match, the 85kg weight class, between Qiao Xianjun (black) and Wang Xuyong (red). We did get a good closeup view of the black corner though. 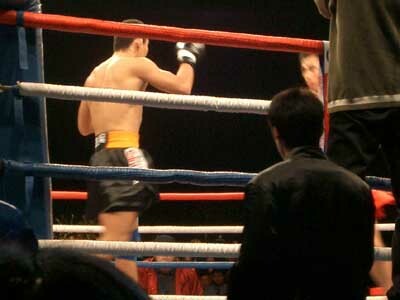 The fights were all pretty good, with a good variety of technique. Good kickboxing and some good throws and sweeps too. No knockouts though. 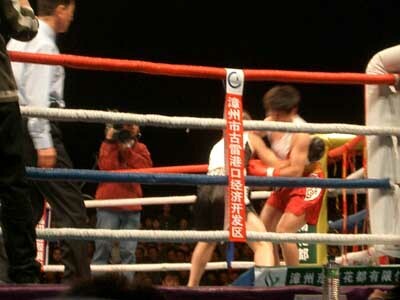 Wang Xuyong won this match, so he goes on to the Sanda Wang finals. 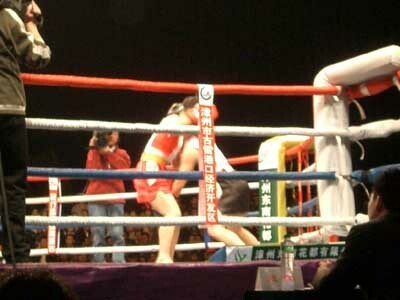 The 4th match of the evening was the female 48kg match. It featured the Gold medal winner from the recent Macau World Games, Li Yonghong. Liu Hailong had just fought at the World Games as well, winning the men's 80kg division. And just because people asked - here are the two ring girls.